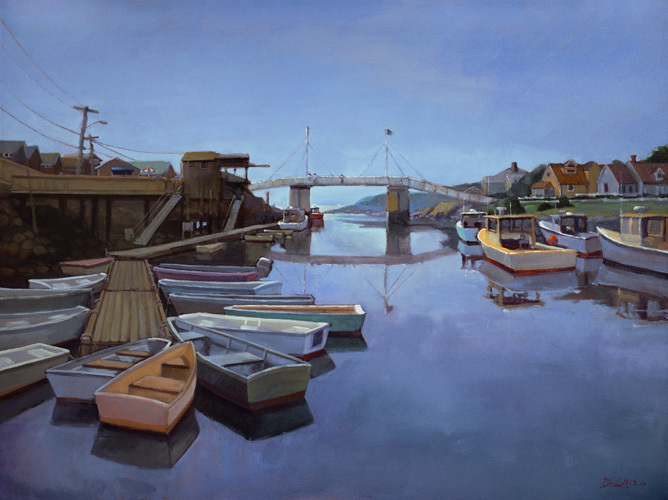 Ogunquit, Maine has a long history as a haven for artists... In the early 1900's, Perkins Cove was a thriving art colony with renowned artist, Charles Woodbury, as its driving force. A century later, that artistic heritage can still be felt as you stroll through the town or quietly walk Ogunquit's beautiful white sandy beaches. Beth's creative romance with the Maine Coast began at the age of twelve when she spent many hours at Perkins Cove observing artists working outside their studios. She was mesmerized by the beauty and powerful energy in their work. Unbeknownst to her, those special moments would impact her future career. Today, Beth's paintings reflect the influence of those artists as well as Ogunquit's Charles Woodbury and Maine's beloved Winslow Homer. Her work is a contemporary vision in the plein air tradition. 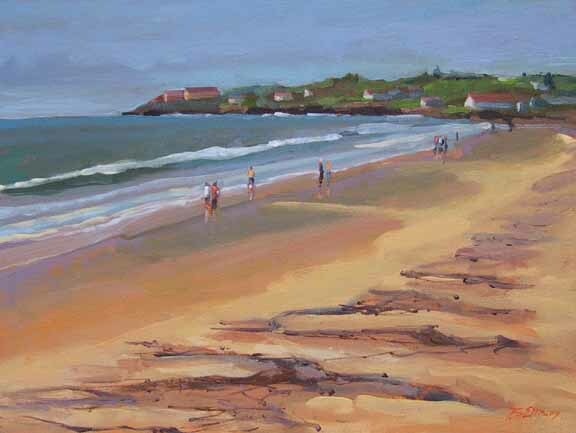 The Beth Ellis Cove Gallery, located in scenic Perkins Cove, features Beth Ellis fine art giclées and oil paintings of New England — highlighting the Ogunquit area and the inspiring scenes of Coastal Maine. The Beth Ellis Cove Gallery also represents the work of other talented artists who were colleagues and master student's of Beth's alike. Come to picturesque Perkins Cove in Oqunquit, Maine, and enjoy the rich experience of a visit to this delightful seaside gallery and the varied selection of art on display.